to build a portfolio of properties and services. 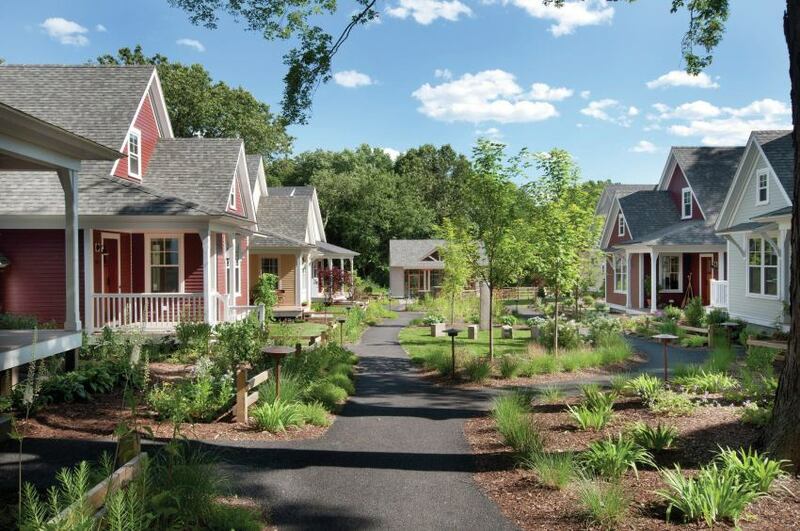 Garden Cottages will be a new Wake Forest urban neighborhood made up of 6 to 12 beautifully designed smaller energy conserving homes with shared community walkways and gardens. These are settings where nearby neighbors can easily know one another, where empty nesters and single householders with far-flung families can find friendship or a helping hand nearby. Your life is remarkably comfortable, low maintenance, high quality. Your load is lighter. We are working to construct a two story residential apartment, office and storage space. The residential structure would be built with the use of four shipping containers designed to match the look and feel of the current location. Units will use natural colors, wood siding, and trees to blend the units into the existing gardens and landscape. We plan to showcase the many ways in which sustainable living and working can go hand-in-hand with attractive design, materials and gardens. The Backcountry Hut Company to brings affordable recreation structures to outdoor enthusiasts. Inspired by IKEA's philosophy of providing superior design at a moderate price point, the prefabricated hut prototype aims to embody the company's four cornerstones: function, quality, sustainability, and value. Though originally intended for backcountry use, the hut is flexible enough to be used on both rural and urban sites. The shell can be furnished to accommodate full-time habitation, similar to a tiny house.